Watson Batty Architects has been appointed by Leeds Bradford Airport (LBA) to design an extension to its departure lounge. The appointment follows an ongoing brief for Watson Batty to support extension works planned as part of the airports’ Route to 2030’ Strategic Development Plan. 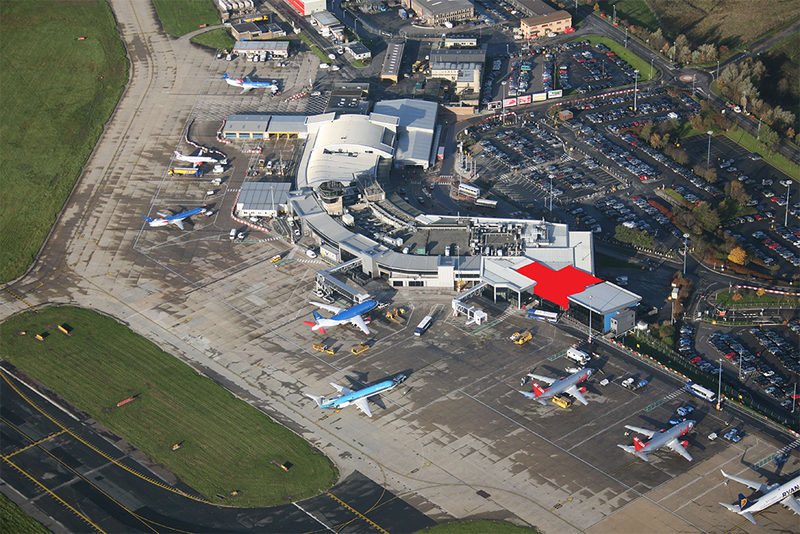 The departure lounge’s 6,450 sq ft expansion will increase passenger airside space by extending the first floor and adding a new storey to the existing single storey area next to gates three and four. The plans also include the introduction of a mezzanine floor at gate five. Crucial to the brief is to design a programme where works can be undertaken with the constraints of a 24-hour functioning airport with minimum disruption. Watson Batty has previously assisted Leeds Bradford Airport to improve circulation and flow of passengers around the terminal. Whilst relocating over twenty retail and commercial tenants, it designed a 150-metre-long, 3-lane covered, external walkway from the terminal together with a major departure gate refurbishment. Watson Batty also re-planned the passenger scanning area with new feature lifts to help increase the efficiency of people movement and wheelchair access. It is currently working on a number of significant projects across a varied range of sectors and has recently completed student’s union extension at York St John University, an academy school for Dixons Academy Trust, a flagship extra care facility for Leeds City Council, a Royal Mail delivery office at Portsmouth and leisure centres for local authorities at Newark and Washington. Additionally Watson Batty has recently been successful in supporting Wates Living Space Homes on Calderdale Council’s North Halifax Transformation Project.